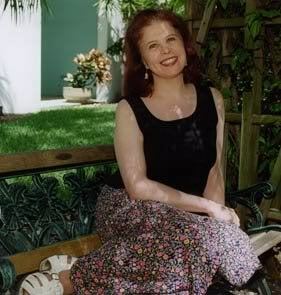 Nancy Kress is a prolific author, having written more than sixty short stories and more than a dozen sci-fi novels. It was her book on the elements of fiction writing, Beginnings, Middles & Ends, that caught our eye. The book, said by some to be the best in the Writer’s Digest series for fiction writers, contains a lot of practical advice for busting through the parts of a manuscript that trouble writers most. This writer, during a dragging middle crisis of her own, put Kress’s book to the test and was very happy to find her techniques to be like a guiding light, a reminder of what the focus should be. Kress has written other well-received writers’ books as well, including Write Great Fiction: Characters, Emotion & Viewpoint and Dynamic Characters: How to Create Personalities t.hat Keep Readers Captivated. We’re pleased to bring you this interview with her–a taste of what she offers in her book on Beginnings, Middles & Ends. Q: What are some of the most common problems writers face when writing the beginning of a book? A: There’s no one answer to this. Some writers (I’m one) start books easily, dashing into their idea and characters like surfers into a good ocean. Others are overwhelmed at the start because they have so many things to get down on paper: the characters, the setting, the history, some tense dialogue – that they’re not sure which should go first, second, etc. The mistake I see most often is starting with pages of expository “background.” It’s much better to get characters onstage, doing something, as soon as possible. Q: How do you know you’re starting your story in the right place? A: You don’t. If it feels right, try it. If you, or discerning readers, don’t like the result, try starting later on in the action. That’s more often the trouble than is starting too early. Q: What does the first scene have to do? A: Establish voice and tone, orient readers in time and space, either start conflict or hint at conflict to come, and – above all – offer the reader something interesting: an intriguing character, a tense situation, a fascinating question, or gorgeous prose. Q: What does the second scene have to do? A: Offer either an escalation of pace or a change of pace. If the first scene has been exciting and conflict-filled, the second often slows down, giving backstory or concentrating on character development. Or, if the first scene has been more leisurely, there will be quicker or more dramatic action in the second. Of course, these are observations on the usual, not requirements. Q: We’ve talked about prologues recently. What do you think of them? When should and shouldn’t they be used? A: Use a prologue if its scene is much removed in time, place, or character from the main story. It might, for instance, have occurred a generation earlier, like the prologue in Joan Vinge’s SNOW QUEEN, or on another planet, like the one in my own CROSSFIRE. Q: Dialogue + thoughts + appearance = good characterization. How should a writer go about presenting all of these things for the reader? A: You left out action. What a character does characterizes him as much – maybe more – than what he says or thinks. The biggest challenge in writing is what to present when: Should I continue the dialogue here or break off briefly to enter the characters; thoughts? There are no right answers. You learn to do it by trial and error, and then how you do it – how much dialogue, how much description etc. – becomes one of the hallmarks of your individual style. Q: What are some of the most common signs of a weak middle? A: Readers, including the author, become restless and bored with the story. Q: What does the middle of the book have to accomplish? A: Getting from the start of the action to its climax. This usually means intensifying the problems your protagonist faces, upping the consequences for success or failure, and/or complicating the forces that will clash at the climax. Q: What is a “throughline” and how can you use it to make writing the middle of a manuscript easier? A: Draw an upside-down “U.” left-hand leg (call it A) is the state of the character and the situation at the start of the story. The right-hand leg (B) is the story’s end, where character and situation have changed (if they haven’t, you usually don’t have much of a story). This is the throughline. Your task is to create and relate all the incidents that occur to plausibly turn A into B.
Q: What should a writer do is s/he feels the story middle is moving at a snail’s pace? What are the likely culprits and their remedies? A: This is impossible to answer. There could be as many difficulties as there are plots. The best advice I can give is to go back to the last point at which you thought the story was working, and rewrite from there. You might also, if pace is really the problem, try to cut anything not really necessary, sometimes including whole scenes. Q: What is a “formal structural design” and how can it help a writer—and a reader? A: A formal structural design is a repeating pattern imposed on a novel: for instance, one chapter in the character’s childhood, then one in the present, and repeat. Or, in a multiple point-of-view novel, a regular order of chapters devoted to A’s POV, then B’s, then C’s, repeat. The advantage is that it can guide both writer and reader through creating or following very complex stories with a lot of subplots. Q: What are some different kinds of structural designs, and how can you choose the best one for your story? A: You choose the best one for your story the same way you choose every other element: think of several alternatives, pick the most promising, write it out and see if you like it. If not, try something else. Q: What should a writer do if s/he loses enthusiasm for their story around the middle? Is there a way to salvage the wip, or should it be set aside at this point? A: Try going back to the last point at which you were enthusiastic and changing direction from there. Or try setting it aside for a few days or weeks and then looking at it again (you might just need a fresh perspective). Or ask a trusted reader to look at it and make suggestions about what’s wrong. But – this has to be said – if you’ve really gone stone cold on the story, you’re probably better off dumping it and writing a new one. Q: How can a writer be sure their story’s climax isn’t anticlimactic? How can a writer get the most from their story seeds? A: A climax needs to be (1) a genuine clash of the forces that have figured most prominently in the story, (2) have something important at stake, and (3) occur on-stage. If you’ve done all that, the climax should work. Q: How do you know when the story is truly finished, and what are your thoughts on the epilogue? A: I don’t know how to be sure that a story is “truly finished.” You do the best you can and then send it out. An epilogue, like a prologue, is usually most effective when removed in time or location or characters from the main story. Otherwise, just make it the last chapter. Q: Not only have you written several well-regarded books on the craft of writing, you’re well established as an author in the science-fiction genre. Tell me about your Probability trilogy. What is the premise? A: The premise of PROBAILITY MOON, PROBABILITY SUN, and PROBABILITY SPACE is that long-vanished aliens have left advanced-technology artifacts lying around the galaxy; these open space tunnels or blow up matter or create fields that affect the electrical interactions in human brains. The most formidable of them seem to have the capacity to destroy the fabric of space itself. As humanity pushes out from Earth to the stars, we encounter these artifacts and have to figure them out – but so does the only other sentient species we’ve found, the Fallers, with whom Earth is unwillingly at war. The “probability” of the title refers to the forces governing these artifacts, which are variations on he probability waves of quantum physics. Q: You write a lot of stories centered around genetic engineering, such as your latest book, Nothing Human. This sounds like a research-intensive topic! What is your process? A: I am not scientifically trained (alas), so I read material written for interested laymen, make notes and charts and diagrams, and then plunge in. NOTHING HUMAN focuses on the ultimate genetic engineering feat: If Earth becomes uninhabitable by humans, can we engineer or own next step in biological evolution? And are they human or not? Q: You have been very prolific writing short stories, with more than seventy published shorts to your credit. What are the benefits to writing short stories, and how has writing them aided you with your novels? A: Writing short fiction is my first love. I prefer them to novels, but one can’t make a living that way. Some writers are natural novelists, some natural short-story writers. The practical benefit to short fiction is that it may entice readers to try one’s novels, but that’s not why I write stories. I like them. Q: As a child, my father used to sit me down every Sunday to watch Sci-Fi; Star Trek was a popular pick. How did you come to love Sci-Fi stories? A: I picked up, purely by chance, Arthur C. Clarke’s CHILDHOOD’S END when I was fourteen years old. It was the first SF I’d ever seen. By page 3, I was in love with the largeness of the canvas, the infinite possibility, of the genre. Q: What are you working on now, and what’s next for you? A: I’m doing short stories: six in rapid succession, of which one was a long novella. The ideas just tumbled out. When that happens it’s like being given a gift, and I’m grateful. Thank you, Nancy Kress, for your time on this interview, and good luck with your future stories!